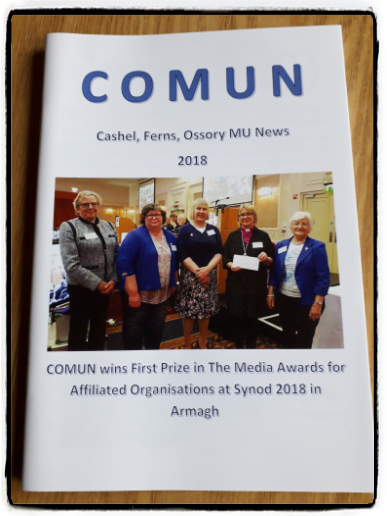 COMUN is a publication which is produced annually in the United Diocese and features news and pictures from events around the Diocese. It is produced in full colour and is a wonderful platform for Branches to promote themselves in all that they do to support worldwide projects and projects within their own community. If people are named in photographs please ensure that you have their permission before sending them in for publication. 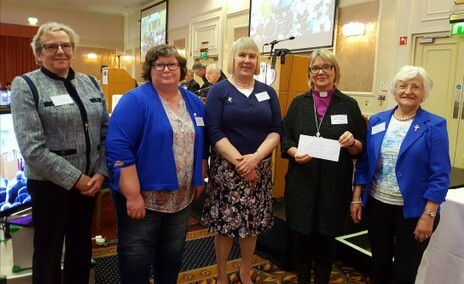 Cashel, Ferns & Ossory Mothers' Union were delighted to receive this award for the publication "COMUN" and four members of the Trustee Board were present to collect the prize. FOCUS is an All-Ireland publication which is normally produced twice yearly, a Spring and an Autumn edition. 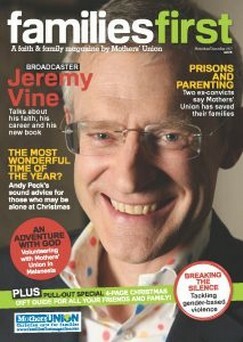 It comes free as part of your annual subscription. 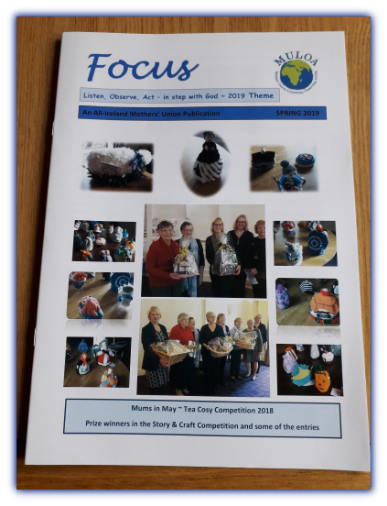 The current editor of FOCUS is our Diocesan Secretary & Co-ordinator for Fund Raising and Communication, Margaret Jacob. FOCUS is also available to download from the All-Ireland website of Mothers' Union. Vivien Black, our PRO, submits an article from this Diocese for inclusion in FOCUS. Families Worldwide is a worldwide Mothers’ Union members resource. 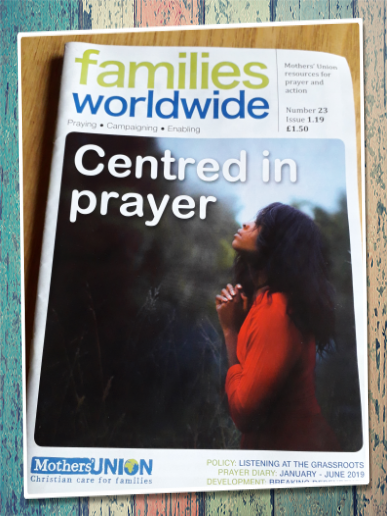 Families Worldwide includes a daily prayer diary, Wave of Prayer, and, over each year, individual profiles of the work of Mothers' Union in more than 80 countries around the world. The cost of Families Worldwide is included in the annual membership charge and two editions are distributed during the year. Families First magazine is a tool through which we share the trials and testimonies of families and individuals touched at every level of family life - from birth to death. Rather than plying our readers with stories of why breast is possibly best; we tell the stories of those many women who, for whatever reason, are not able to have children and so cannot even make that decision. Rather than showcase a pick of the best retirement homes in the area we look at how people cope when a loved one is bereaved after a lifetime together. No one likes being told what to do and so we try and steer clear of “experts” and talk to people who have really been there, lived there and walked in those shoes. Then we ask them how they coped and we share those experiences with our readers and we believe that’s how we can build each other up. Testimonies are biblical. And we put God first. But there's a light-hearted side too! We also have regular pieces on wellbeing, teenagers, children's arts and crafts pages, film, book and music reviews, GREAT competitions and puzzles and prizes. Profits from sales of Families First magazine support the work of Mothers’ Union in fighting poverty, injustice and tackling family issues.